To ensure that her wishes would be met, Mrs. M designated her husband as her official “health care proxy” should she lose the ability to make her own decisions. In Massachusetts, this involves signing a document designating a spouse, family member, or friend to take responsibility for health care decisions if an individual is unable to do so. When we as doctors can no longer communicate directly with a patient because of their mental or physical illness, we seek the advice of the health care proxy so as to best honor our patient’s wishes. While Mrs. M had outlined her desire for comfort-focused medical care to her nurse, she never broached this difficult subject with her husband. 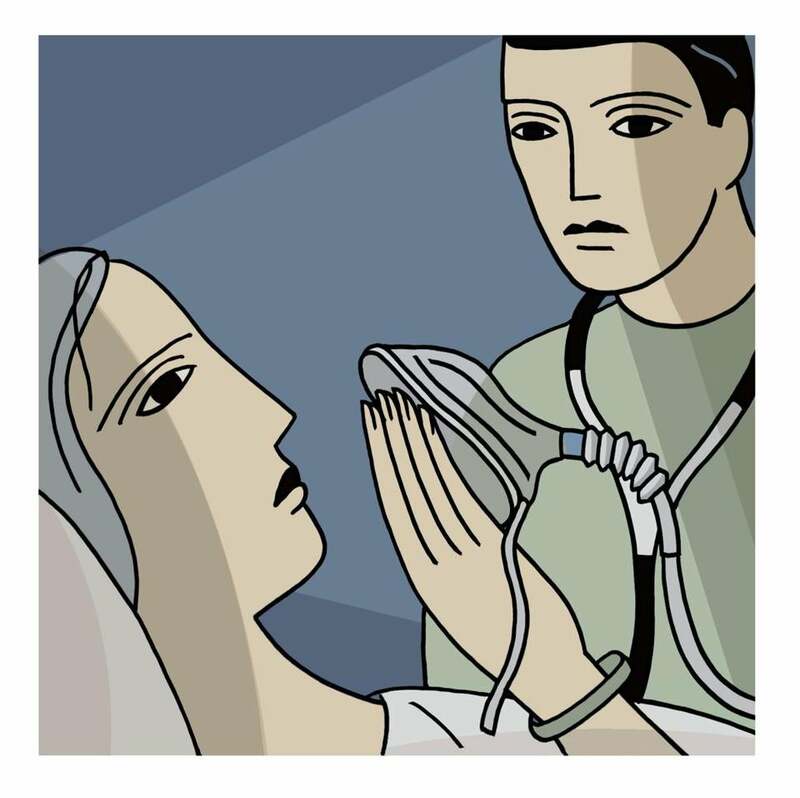 He was unaware that she never wanted a breathing tube or ventilator, or to be re-admitted to the hospital. Only later, after speaking with Mrs. M’s nurse, did he understand how much his wife had quietly suffered from her disease and why she hoped to pass naturally at home rather than in the midst of aggressive medical care. Doctors have a duty to help facilitate such discussions. But, we are not doing as good a job as we should be. According to a recent article in the Globe, only 17 percent of patients in Massachusetts report discussing end-of-life care issues with their physician. Most patients wish to die at home surrounded by family and friends. Unfortunately, statistics show that the majority die in the hospital. Moreover, medical education emphasizes problem solving. We are taught to analyze information, determine a diagnosis, and provide treatment to make our patients better. We are trained to do things. This is hard to reconcile with the notion that in some cases less treatment may actually be in our patients’ best interest. In medical school, I remember taking part in an exercise meant to teach us how to deliver “bad news” to patients. But, during my first year of residency I found that nothing had adequately prepared me for the more nuanced discussions regarding the many challenging choices that patients and their families face when approaching the end of life. It is something I have grown more comfortable with over the last three years and a conversation that continues to refine itself as I gain more first-hand experience.